As your work gets widespread, business reaches new horizons, your manpower grows, revenue increases, and you feel you are taking off with a good wind. It will be the time to spread your wings wider, plan better and organize a few things about your work, business and life. Therefore, business and work stay in their own place – organized and streamlined while life stays planned and smooth as well while segregating from hard-core work. You must plan things accordingly to simplify your physical as well as a virtual office into a better place. Best organization apps or software are what you may be looking for. There are many apps and software available for this purpose. As most of the tools and apps are explored and go through smartphones and tabs, most of the tools of routine are made available in app forms. If you are always in search of tools an apps for streamlining business balancing work-life, you will most probably be a user of services like G Suite. You also schedule periodic backups of your data and devices through features like G Suite backup. In order to make things even more lucid for you, here is the list of apps balancing and managing your work and life even better. Learn how these app works and sit back relax while such apps work on your behalf. G Suite is a package for business which contains everything you need to organize various aspects together in one place. 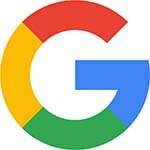 Being one of the best organization apps, it gives you the flexibility to use Gmail in your preferred domain name. It also gives 30GB of free space in G Drive for every single user. Isn’t it amazing with the basic package? Enterprise and business packages will put you in surprises with its features. The apps you will have access to through G Suite are sheets, calendar, sites, slides, plus, hangouts, docs, and forms. If you need to migrate your data to or from G Suite, you will be able to accomplish it using G Suite backup service. This is a classic notepad with enhanced UI where you take down notes, scribble things, and write anything in a hurry. 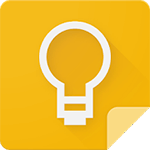 Do you have a habit of forgetting things often, Google Keep is here to rescue you with its simple but quite effective interface. The extras you get with this app is labeling of the notes you created, grouping them with tags, colors, and special words while saving files in various formats including voice memos, images, checkboxes etc. You can also convert these txt files to doc format and share them through the app. 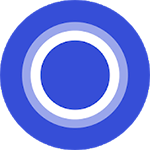 Cortana is a smart app by Microsoft which makes life simpler through its amazing organizing power. You can download it into your smartphone regardless of its Android or iOS version and sign into it with your Microsoft account will let you start exploring. Cortana can help you by taking writing lists, setting reminders, taking notes. It can remind you at a certain interval of the day about to-dos and reminders. Cortana can sync with calendar apps from Microsoft, Apple, and Google. You also get to know news alerts and weather forecasts from Cortana. Where there is a need for sharing things whether it is a project or assignment, Trellotheis the ultimate solution. With a simple to adapt interface and easy to understand features, it can be used for various reasons and projects. You can use Trello on both computer and mobile by using either the web or app version. Trello works like a simplified database management system, where you create cards, and each card is designed to carry a set of data with options to label, tag, add codes, colors, descriptions etc. Every card can be treated like a project, task, reminder or anything you want. Arranging these cards in columns is also possible. The cards can then be added to other columns or lines by people who are sharing it. The cards can be commented on and attachments can be added to them. In short, you can use the features of Trello in the simplest or most complex form as per your need. 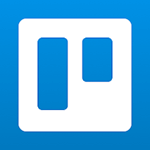 Trello has also a paid version with advanced features for businesses. This is a great app to help you understand how much time you are spending on specific internet location, how sluggish and active you are throughout the day and likewise. Are you a social media addict? This is one of the best organization apps to get rid of your addiction. 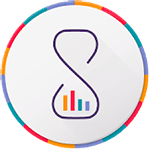 Based on your activities and data you feed into this app, the app will show you all the micro-activities of your daily routine and give you detailed reports. Based on these generated reports, you can then balance your daily activities by customizing your actual needs. This app is available for Android users only at the time. All of these best organization apps are great to help you organize your world and utilize your time in the best possible way. In the end, you will be sharing business files, information and projects smarter and with better security.